The High Court decision that offshore processing is lawful has triggered a massive wave of defiance and protest, from the churches to the Labor Party. 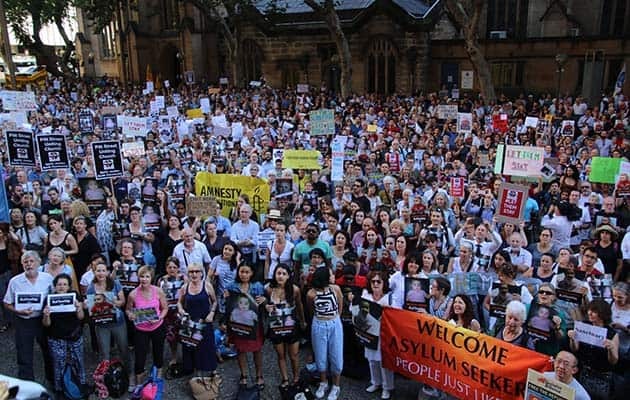 Tens of thousands have demonstrated, signed petitions, and called MPs to demand that the 267 asylum seekers brought from Nauru and Manus Island are allowed to stay in Australia. Churches and the Victorian Trades Hall have committed themselves to defying the law and offering sanctuary; The Age has editorialised against offshore processing. The support for the hospital has been fantastic (see p6). With a 24-hour vigil and daily rallies, opinion polls are shifting toward asylum seekers. Hundreds of workplaces have hit social media to show union and workers’ support.